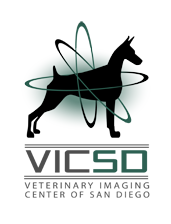 Dr. Seth Wallack is an on-staff board-certified veterinary radiologist, founder and CEO of VICSD. His work in radioiodine (I-131) therapy for treating feline hyperthyroidism resulted in a new protocol for treatment dosing, and he lectures on this topic regularly at seminars and meetings around the country. He also started the American Association of Veterinary Radiologists (AAVR), an online veterinary radiology education resource for veterinarians and veterinary technicians, and is the founder and president of Vetology.net, an online veterinary teleconsulting and image storage platform. Dr. Wallack currently has a patent pending on real-time ultrasound, a service where a licensed sonographer travels to the general practitioner’s hospital to perform the ultrasound and broadcasts the study over the internet to a board-certified specialist who reviews them in real-time. He has published numerous professional journal articles and book chapters and is the author of The Handbook of Veterinary Contrast Radiography. Dr. William Ladd specializes in human diagnostic radiology, neuroradiology, and nuclear medicine. He received his training at the Massachusetts General Hospital and holds a master’s degree in nuclear physics from MIT. He has over 25 years of experience in radiology practice and is currently a Health Sciences Clinical Professor of Radiology at the University of California, San Diego, School of Medicine. Previously, Dr. Ladd was a Clinical Assistant Professor of Radiology at the University of Texas, Health Science Center, San Antonio and at the UCSD School of Medicine, as well as the Section Chief for chest and mammography while at the Wilford Hall US Air Force Medical Center in San Antonio. Dr. Ladd has received the San Diego County Medical Society Top Doctor Award in both 2005 and 2007. He is a Diplomate of the American Board of Radiology as well as a Fellow of the American College of Radiology. Dr. Christina Hewes grew up in the San Francisco Bay Area and received her veterinary degree from UC Davis. After veterinary school, she completed an equine surgery residency in northern Virginia at Marion duPont Scott Equine Medical Center and an equine emergency and critical care fellowship at Auburn University in Alabama. After 10 years of equine practice and exposure to small animal critical care at Auburn University, Dr. Hewes completed a small animal fellowship in critical care and emergency and started practicing as a small animal critical care specialist and emergency surgeon. In her free time Christina enjoys riding horses, hiking, baking, and spending time her cat. After completing a rotating internship in Northern CA, Esther worked at a specialty hospital as an emergency veterinarian. She moved to San Diego in 2016 and joined the imaging center as a DVM Sonographer. In her free time Esther enjoys exploring San Diego with her husband, son, and dog. Vicki has been involved with VICSD since 2008 when she came to assist Seth in developing the RealTime ultrasound services. She comes from the human side of medicine where she has been providing diagnostic ultrasound, vascular and echocardiography services to various hospitals, clinics and doctor’s office throughout San Diego County since moving here in 1982. Vicki is also the first to obtain the designation of RVMS as a Veterinary Medical Sonographer. Vicki thinks the most challenging aspect of veterinary ultrasound is to not take home every special-needs animal she meets; she has managed to keep the total down to four… so far. Her free time is enjoyed in the company of her husband, Bill and their dog Roger. Dr. Kreig Embriano hails from the New England area, and received his Bachelor of Science at the University of Connecticut, followed by his veterinary degree from The University of Pennsylvania. He then completed a one-year rotating internship at The Center for Animal Referral and Emergency Services in Langhorne, PA. Afterwards, he spent a year as a small animal emergency clinician in Madison, Wisconsin before moving to San Diego to join VICSD. Dr. Embriano is particularly interested in ultrasound, MRI, and teaching veterinary students about diagnostic imaging. In his free time, he enjoys running, kayaking, music, and following the English Premiere League and MLS. Dr. Tania Hunt received her undergraduate and veterinary education from the University of California, Davis. She completed a master’s in Preventive Veterinary Medicine with an emphasis in epidemiology concurrently with completing her doctorate in Veterinary Medicine. For over ten years she has practiced as an small animal and exotic pet clinician focused on emergency medicine. During this time she has developed a passion for diagnostic imaging and how advanced imaging technologies, like ultrasound, CT and MRI are helping to advance the practice of veterinary medicine. She also has a passion for travel and can proudly say she has visited 5 of the world’s 7 continents. She currently lives here in San Diego with her blue-eye McNabb, Seven. Karen came to the VICSD team in 2010 and has more than 10 years work experience in Client Services. She is the Director of Client Services for Vetology, and is very grateful to work with such an amazing team. She is the mother of 2, and enjoys going to the beach and out on the boat in her free time with her family. When it comes to client relations, Jean Lopez gets an A+. This former schoolteacher is a member of our administrative team and has already shown us that she really knows her stuff. She holds a degree in psychology from San Diego State and has 20 years of work experience in the veterinary field. Jean is the proud mom to 4 boys, 2 of those being Yorkshire Terriers. In her spare time, she enjoys hiking, camping, snowboarding, playing on a bowling league with her boys and attending her son’s soccer club games. A San Diego native Stevie Trujillo has won over the hearts and minds of our clients and our staff since joining the team in the beginning of 2012. Stevie’s previous work experience mainly consists of being a caretaker, so she is a perfect fit for accommodating our wonderful patients. Stevie is a mom to 4 two-legged boys, and 2 furry four-legged girls. She enjoys spending time with her family on her free-time. Bryan is a San Diego native who officially joined VICSD’s team in 2014. Although he has been a part of the VICSD family for much longer. Bryan looks forward to seeing all the pets that come to VICSD. In his free time you can catch Bryan dabbling in his photography skills, traveling, hiking, and spending time with his dog, Troy. Bryan is also a “foodie” at heart that loves trying out all the best foods San Diego has to offer. A San Diego native, Sam began working with the imaging center in 2015. Since then she has completed a veterinary assistant program and is now working full time with the mobile ultrasound service. In her free time Sam enjoys spending time with her two dogs, going hiking and spending time at the lake.